I often get asked what the next big app or social media platform will look like. The truth is, I don’t predict. I’m a counterpuncher — I react. While I don’t know the 2 girls at UCLA creating the “next big thing,” what I can tell you is that I’m always keeping tabs on the current tech landscape at all times.I do this by watching people’s behavior at scale on social media and trusting my intuition. For example, when Vine popped, I looked at everything people were doing with the platform and started playing with it. I even told my company to stop whatever they were working on to download the app and learn how to use it. I wanted everyone to know as much as they could about it because my gut told me it was going to be hot. Anchor has a lot of potential to become “voice Twitter.” It’s a great play for podcasters. 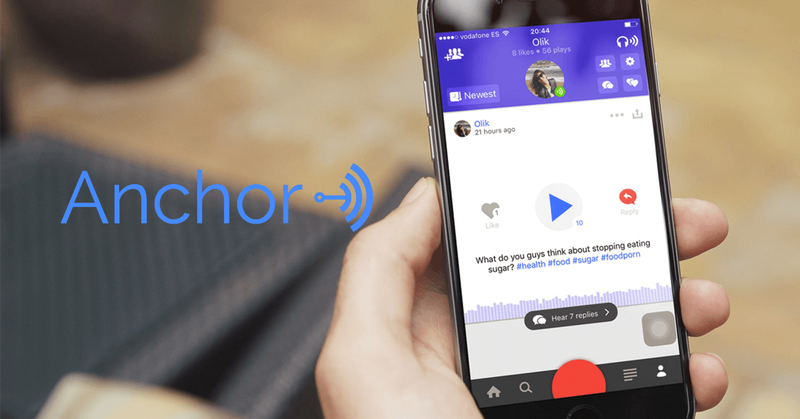 Anchor is an app that allows you to record and share soundbites — what they call waves — of yourself talking. I have been obsessed with the idea of “audio Twitter” for a long time. It’s an app I have always wanted because I am fascinated with the context your voice can create. Speech is one of the main ways we communicate and it is why podcasting has re-emerged as a popular medium. The product is incredible and has the potential to become a very important platform. Where Anchor is strong is that it feels very native and very easy to produce and reply. It can be used as a podcast play for a lot of people. I think it’s a great tool to create 2 minute promos as a gateway drug to actual podcasts. However, Anchor’s vulnerability is that it takes too much time to create and listen to content. Since time is the number one asset, that issue is what concerns me most. But, the truth is that I have not seen an app that does a better job in making spoken content as seamless and frictionless as possible. That’s why I’m keeping a very close eye on it, but it’s too early to make a call either way. If you are following what’s happening with 7 to 13 year olds in America, musical.ly is growing enormously in popularity. If you follow me at all, I am always talking about checking out the App Store’s top free apps. As of posting this, musical.ly is number 18, which is ahead of Soundcloud, Twitter, Kik, Yelp, Reddit, Pinterest, and the Amazon app. 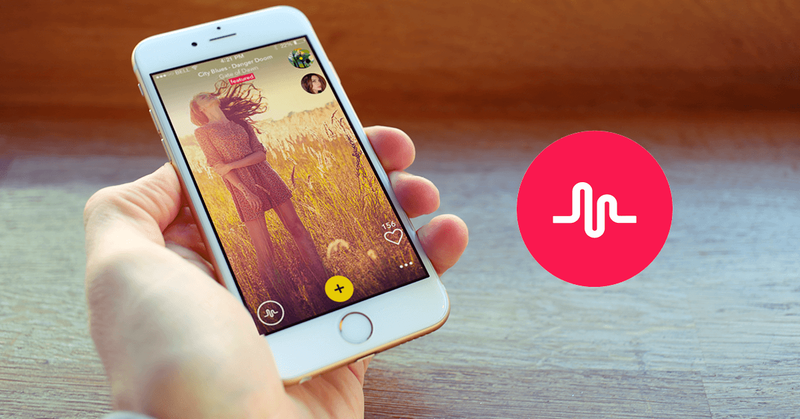 Musical.ly is an app that allows you to make short videos of yourself lip syncing to popular music. If you are following what’s happening with 7 to 13 year olds in America, this app is growing enormously in popularity. I recently had two musical.ly influencers on The #AskGaryVee Show to demonstrate the massive reach musical.ly has over younger demographics. It is the only platform that has a chance to become the next Snapchat — a very powerful statement. Peach uses “magic words” to generate content. Think Twitter plus Slack. 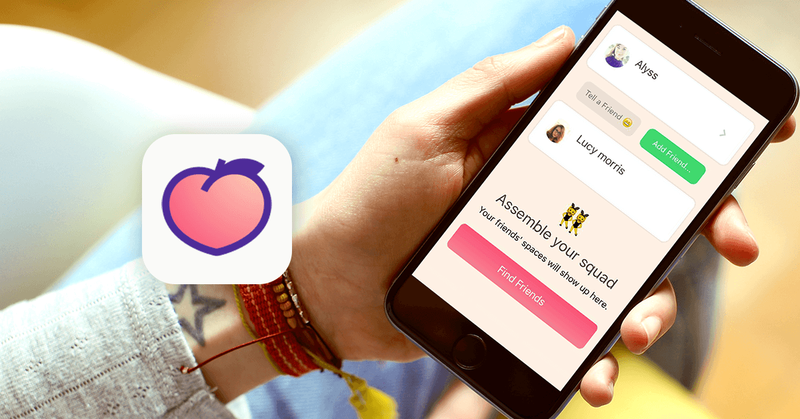 If you haven’t heard of Peach, it’s a messaging app that allows users to post status updates, images, gifs, and drawings. It uses “magic words” — keywords that allow you to post geolocations, what song you’re listening to, or even a random photo from your phone’s camera roll. Think Twitter plus Slack. My interest in Peach is based on the pedigree of Dom Hofmann, one of the creators of Vine. I am a very big fan of Dom’s point of view on product, so I am betting on the jockey more than Peach the app. I still don’t have a good read on how it fits into the market, but I’m excited to see it evolve. I’ll be keeping my eye on it. After School reminds me a lot of how Facebook grew out of a college-only social network. After School provides an anonymous and private message board to high school students. I should disclose that I am an investor in After School. However, I invested in a very different product that has evolved into this current product. Not only am I watching because of my investment, but my interest also stems from its potential similarity to old Facebook. 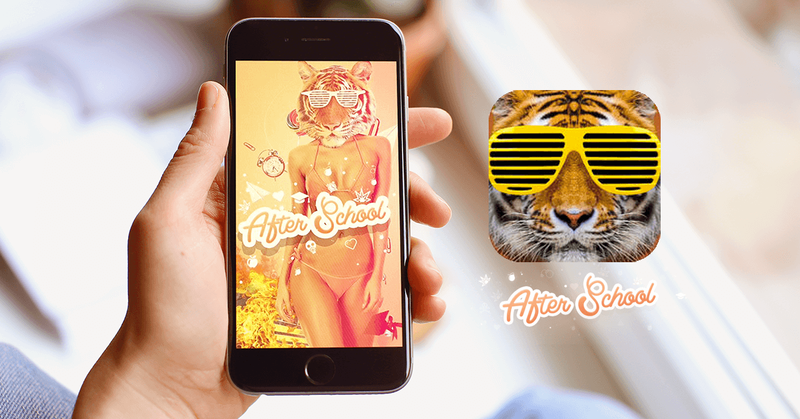 After School is a high school only social network that requires a school ID to sign up. This reminds me a lot of how Facebook grew out of a college only social network. It’s not so much that I am infatuated with After School yet, because there is still a lot of work to do, but I am interested in whether a social network only for high school kids can grow the same way Facebook did. I am so bullish on this concept that I predict, over the next decade, an app that grows out of a high school only app will become one of the main social networks of our time. 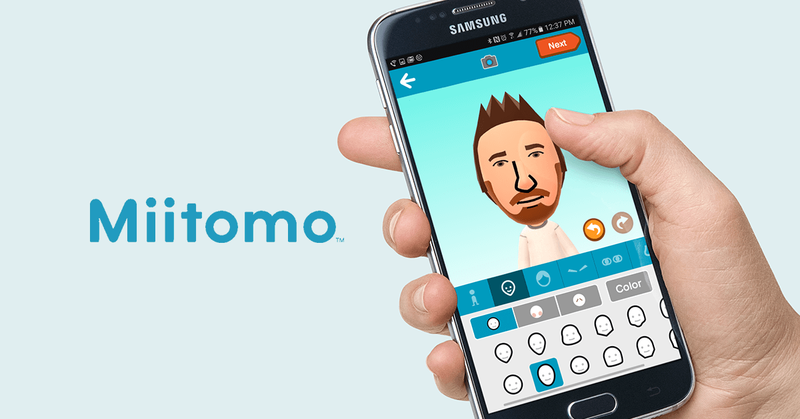 MiiTomo is Nintendo’s first social mobile app. You start by creating a Mii — a virtual “you” — that you use as an interface to answer questions with friends. You can also make quote cards with your Miis and post them on other platforms. I have little to say since I don’t have a great grasp on this app yet since it’s so new. I’m watching, but it’s still very early. However, I do find it interesting that MiiTomo was released right after Icomplained about Nintendo not playing in the mobile space. Obviously, they had been working on it long before I said this, but the timing seems serendipitous and I’m excited to dig further. I have also got a quarter of an eye on some things that are more mature that with a tweak or two could be much bigger. These platforms are one feature away from changing their outcome. I will be watching to see if they will take the next step in the evolution of their growth. Kik — It’s a beast of a platform for communications for the 13 to 25 year old set, but never seems to get much attention. Soundcloud — It’s currently what I think is the leader in audio and music. I’m always kind of fascinated by it, but they haven’t taken that next leap yet. I’m rooting for Soundcloud because I really like the team behind it. Wattpad — This app has been doing extremely well with long-form content, particularly popular with teenage girls. WeChat — It’s a dominant player in Asia and I’m curious to see if it’ll become a dominant player in the US. PS: As a side note, truthfully, apps on my watch list have very rarely changed from “watch” to “buy.” Why? Because historically, there have only been a couple of things worth buying into: Youtube, Facebook, Instagram, LinkedIn, Twitter, Snapchat. Remember, the market decides and only a handful of them survive the test of time. 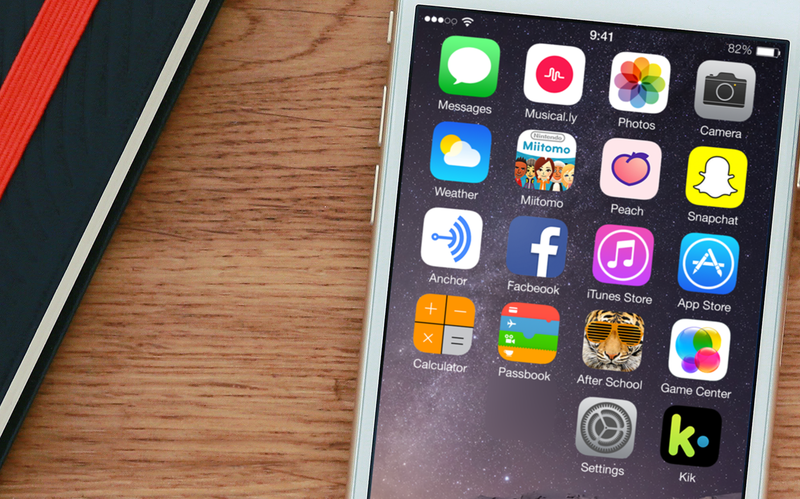 PPS: Two more apps to play with: Down to Lunch and Wishbone. These are listed under “Social Networking” and free in the app store.